Looking for online movie auditions and castings for main roles? Here it is! A major Warner Brothers film is holding a nationwide talent search for child and teen actors. There are 4 main roles open for child actors ages 8 to 14. No acting experience is actually required to be considered for the roles, but most likely, experience would be a big plus. Video auditions are being accepted for kids to play the Hodgson siblings, Janet, Billy, Margaret and Johnny. Janet is 11 years old, Margaret is 14, Billy is 8 and Johnny is 10. All roles are for Caucasian kids. The kids are described as follows… Janet is curious and intelligent. Billy is cute and playful. He is the baby of the family. Margaret is the oldest of the kids and the most mature, great student. Johnny is athletic and likes to pick fights with the other siblings. All roles must be able to do a British accent. The characters are ages 8 to 14 and kids applying should be able to play the ages in the descriptions. New Line Cinema and Warner Brothers are behind the horror sequel and actors from the original, Patrick Wilson and Vera Farmiga are on board for the new production. Originally, The Conjuring 2: The Enfield Poltergeist was scheduled to be released on October 23, 2015, but the release has been pushed back and is now scheduled to hit theaters next summer in June of 2016. “The Conjuring 2” will begin production this summer. The feature will be filming around the London, England area and also in Los Angeles. Director James Wan is also on board for the horror sequel. Wan directed the original film as well as other horror classics such as “Insidious” and “Saw”. 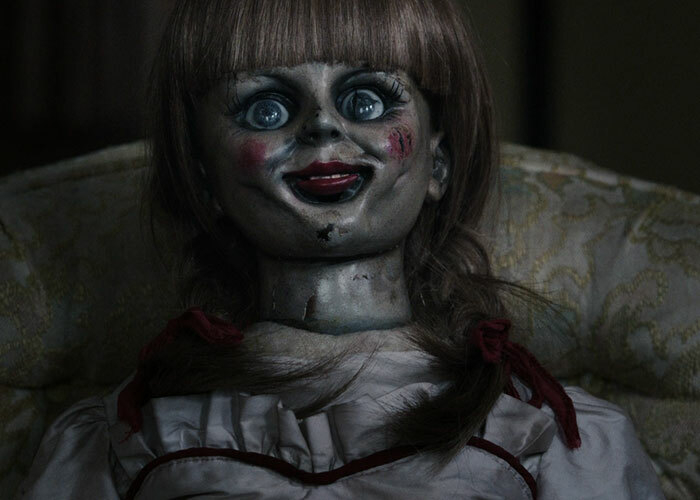 The original movie, “The Conjuring” was a huge box office success. The movie was filmed on a budget of around $20 million and it went on to make over $300 million worldwide. Kids and teens who want to star in the movie don’t have all that long to practice their best English accents. The deadline to get your video auditions in is the 22nd of this month. She is a thoughtful and curious girl from Enfield, London. Working class. We are looking for an exceptional child with emotional intelligence for this role. London or standard British accent. She must be able to handle dialogue and convey strong emotions. Billy is the youngest of the Hodgson siblings and suffers from a stutter. He is cute and playful – the baby of the family. London or standard British accent. He must be able to handle dialogue and convey strong emotions. Margaret is the oldest Hodgson child. She is a sympathetic and supportive young woman. She is academic and mature. London or standard British accent. She must be able to handle lots of dialogue and convey strong emotions. He is quick witted and picks fights with his siblings. He is a good footballer – boyish. London or standard British accent. He must be able to handle lots of dialogue and convey emotion. FROM DIRECTOR JAMES WAN (FAST AND FURIOUS SEVEN, THE CONJURING) COMES THE SEQUEL TO THE CONJURING STARRING OSCAR NOMINATED ACTRESS VERA FARMIGA AND GOLDEN GLOBE NOMINATED ACTOR PATRICK WILSON. “The Conjuring 2: The Enfield Poltergeist” will deal with the case of The Enfield Poltergeist that occurred in England in the late 1970s. The movie will be set in the 70’s and Patrick Wilson and Vera Farmiga star as Ed and Lorraine Warren. According to the film’s IMDB page, Patrick Wilson and Vera Farmiga will be reprising their previous roles as paranormal investigators who try to help families that believe they are being haunted or possessed by evil spirits. According to the wiki page about the Enfield poltergeist, the name given to claims of poltergeist activity at a council house in Brimsdown, Enfield, England from 1977-1979. In August 1977, single parent Peggy Hodgson called police to her rented home in Enfield after two of her four children claimed that furniture was moving and knocking sounds were heard on walls. WE ARE LOOKING FOR 4 INCREDIBLY TALENTED CHILDREN FOR THIS EXCITING FILM. The casting directors for the movie have set up a new website which contains the application and all the instructions about uploading and taping your video auditions. Those interested in maybe landing one of the speaking parts in the movie can check out their website for all the details about how to audition online. NextGet on Disney Channel – 2015 Disney Auditions are Here. I really want to act. My family does not have that much money so I want to help them. If there’s any open additions don’t hesitate to leave me an email. Thank you and bye. I would like to be Janet from London.